Brain trauma is one of the most devastating kinds of injuries a person can sustain. Even if the injury isn’t life-threatening, the victim might suffer permanent complications that affect his or her relationships, ability to earn an income, and general quality of life. How Can I Prove the Severity of My Head Injury? Reports from treating providers such as your primary care physician, occupational therapist, and psychiatrist. 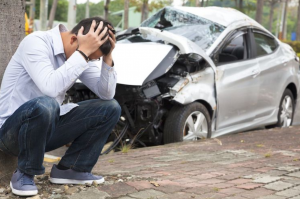 What Kinds of Damages Can I Pursue After Sustaining a Head Injury in a Car Accident? There’s no way to estimate how long it might take to resolve your case until your attorney has assessed the relevant facts; however, you might be able to get a rough idea of the potential duration of the proceedings by knowing the factors that could influence the timeline of your claim. Such factors include the amount of compensation you’re pursuing, the strength of the available evidence, whether the opposing party is cooperative, and the amount of time it takes for you to reach maximum medical improvement. Preparing your case for court if the opposing party is uncooperative. If you were hurt in a car accident through no fault of your own, contact Charnas Law Firm to discuss your case. Our team is proud to help injured parties throughout New York and Massachusetts pursue the compensation they need to move on with life. Call 212-980-6800 or use our Online Contact Form to set up a free, confidential consultation with a car accident lawyer in Massachusetts.